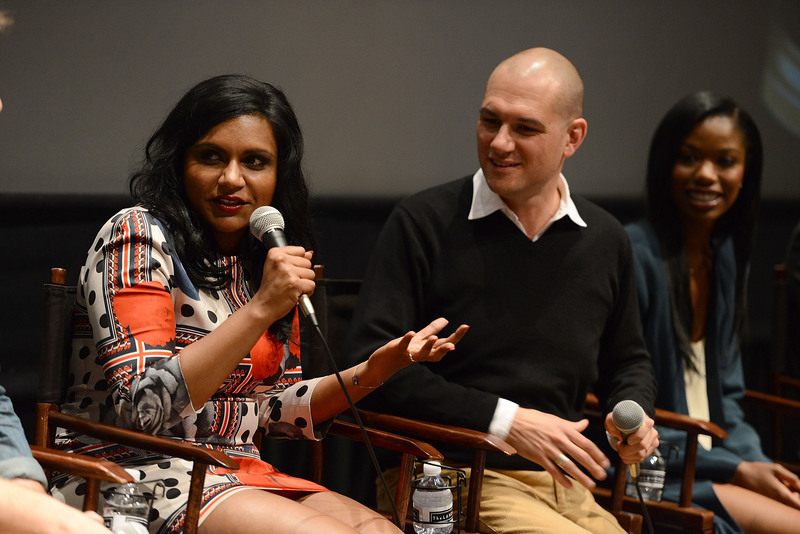 Mindy Kaling has been busy running around Hollywood. Not only is she putting in the hours in The Mindy Project writers' room, she's also promoting the show like no one's business. And I for one couldn't be happier — go forth and promote, Ms. Kaling! Promote all the way up to those Emmy nods you so deserve. Because honestly, there are few out there who deserve a good old Emmy nomination (or two... or three) more than Kaling here. As writer/creator/producer/star, she should be racking up the nods like Lena Dunham and Tina Fey before her — especially with TMP's stellar second season (I still can't get the heavily Nora Ephron-inspired finale out of my head). She deems the look "your favorite paralegal in the jacket she stole from Cher." I think you're underselling yourself here, Ms. Kaling — there's nothing boringly paralegal-ish (nor blindingly Cher-ish) about this very put-together ensemble! The print is so fun, and though it's on the trickier side, she's definitely pulling it off — with a handy assist from her perfect coif, which she thanks her hairdresser for, and refers to as "mega." This polka-dot/rose number would look right at home on Shulman and Associates' favorite OBGYN, and I mean that as a compliment to both Mindys. Kaling sure knows how to rock a print in some seriously awesome colors. By her own admission, "My love affair with prints rages on." Thank goodness, because they're fantastic. Apparently, Kaling's goal was to "channel Megan Draper" — but she was quick to qualify that statement with, "But not the messed up Megan in LA. Megan as an au pair." Well, she nailed that pre-season-7 Megan look, mixing a little of season 6's glam with season 5's simple-yet-bright mod silhouettes.